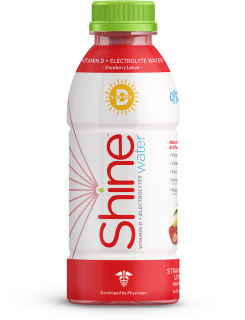 CHARLESTON, S.C. — Physician Made Beverages, LLC announced today that Shine Water will be available in all North Carolina and South Carolina Earth Fare locations by November 1st. Launching with the Asheville, N.C. based natural retailer adds to the company’s expanding footprint in the southeast. Shine is expected to be in 100 locations by end of year and 500 retail stores by late Spring 2019 with multiple new retail launches in the works. Shine was developed by Phillip Davis, MD, a graduate of the MUSC College of Medicine with 10 years’ experience working as a physician at the Food and Drug Administration in Washington, DC who’s now turned in his stethoscope to build a healthy beverage company. A portion of sales are donated to provide free vitamins to families in East Africa and Nicaragua through their social partner One World Health, also founded and headquartered in Charleston. Currently Shine comes in three flavors, has no sugar, and is infused with a healthy dose of Vitamin D, Potassium, Magnesium, Zinc and antioxidants from plant extracts with only 20 Calories per bottle. The company also announced new launches in premier Charleston clubs like Bulls Bay Golf and LTP tennis, where Shine is committed to being an ongoing sponsor of LTP’s Junior and USTA Women’s Pro tournaments. French shared “We’re finding more and more that athletes and fitness enthusiasts love Shine for the unique electrolyte and vitamin formula with zero sugar. Tennis and golf players are some of our core customers and we’re thrilled to partner with them.” Game on!